Set in Russia this gripping mystery thriller is based on the creepy urban legends surrounding the transmission of a buzz every other second on short wave radio. Frustrated want-to-be journalist Natalya Kovalski forces her lecherous over-bearing boss to let her undertake a research project. But instead of the boring project he suggests Natalya stumbles upon the radio wave theory and sets about investigating it. She comes across Stepan Litvin, a short-wave radio enthusiast and computer programmer, and together they visit an abandoned military base in Povarovo, which is suspected to have once been the source of the transmissions. They discover links between the city of Luga and a Soviet Human Enhancement Project C-1 which was undertaken in World War 2. After discovering evidence suggesting that the Buzzer and the C-1 is an experiment on the population of Luga, they attempt to expose the experiment to the media in order to save the city. 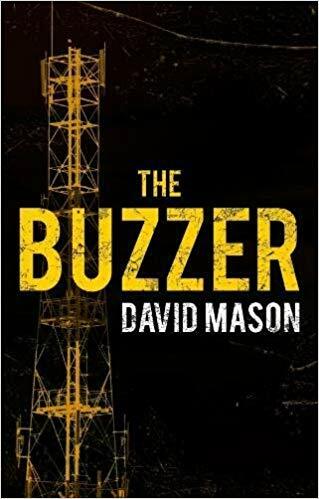 David Mason has created a tense fast-paced novel, which is a real page-turner from the start. How horrific is the C1 experiment and just what danger are the two main characters (and the entire population of Russia) in as they proceed with their investigation? Unlike many books set in Russia, The Buzzer does not centre around the KGB. Instead it is the military who the protagonists are up against. Natalya and Stepan are likeable, ordinary people with flaws who sometimes make mistakes. An excellent read that I struggled to put down.